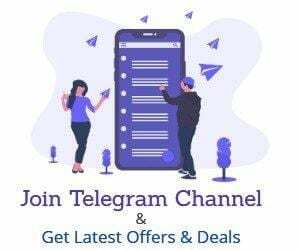 Bigtricks Telegram Instant Notification Service – Hello Guys, We have Already launched Bigtricks Telegram Channel Where You Get Instant Post Notification as soon as they published with instant loot deal updates. You Can also Join Bigtricks Push Notification if You are Using Chrome or Mozilla Firefox without Installing Anything else. By Joining Bigtricks Telegram Channel You Get Instant Deals & Tricks. You can Also Subscribe Push Notification for much faster Deliveries if You are Using Chrome or Mozilla Firefox Browser. We also are on Whatsapp but because Whatsapp Mainly Focus on Chat so it is Not Possible to Send Broadcast Message in time.it takes upto 10 Minute to Load Whatsapp even After Sending Message to Broadcast Many Users Do not Receive Notification because of Whatsapp Limits also It makes Phone Havier that’s why I recommend you to use Telegram Messaging App. It’s Like Whatsapp but it’s much Faster & secure Than Whatsapp.you can Access it on Your PC or Laptop Also. 4. tap on Join Now Button and you will be a Part of Bigtricks broadcast channel. IMPORTANT – DON’T PRESS MUTE BUTTON ELSE YOU WILL MISS PAYTM GIVEAWAY OR LOOT DEALS. 5. Now Tap & hold on Channel Name & Select Pin to Top to See Instant Updates. 6. Done Now You will Receive Instant Updates with Regular Giveaways so Be Active else You will Regrate that You Missed the Paytm Cash. You can Get paytm Lucky Lifafa Link anytime in Channel Which Will be Valid for First 20 or 30 Users, so if you are active then you can get this offer. Worst Site. @anupam and others dhamki dete hain group se nikal denge without any reason. Worst group.. Never join this. Fraud App. Logon ki Mazaak banate hain stupid hain ye log.